In the distant future, humanity is pushed to the brink. Life is often cut short due to war or toxic air that pollutes the forest. In one of the many small kingdoms that arose from the death of the world, a princess named Nausicaa is born. It is through her eyes we witness the clashes of empires, the birth, and destruction of Gods, and the salvation or damnation of the world. Welcome to Nausicaa of the Valley of the wind. Created by famed anime director Hayao Miyazaki in 1982 the manga was created to inspire confidence in investors so they may eventually fund a film adaptation. Running in the magazine Animage from 1982 to 1994 the manga would go in a radically different direction plot-wise than the film (which was released in 1984). 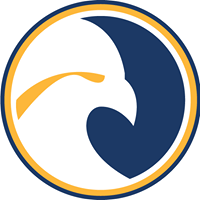 The story draws heavily from famous fantasy and science-fiction works and goes on to establish various themes and ideas that Studio Ghibli would use in later works. 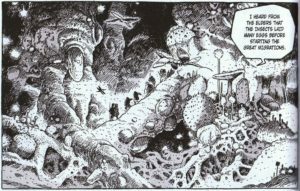 Nausicaa and her allies across the known world, and they are forced to witness even more of the world being swallowed up by the deadly forest. This all culminates in a final confrontation against the Theocracy’s God (revealed to be the collected consciousness of the pre-apocalyptic society’s scientists) who wishes to bring back the world that they knew through any means necessary. 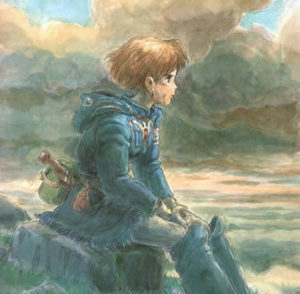 In the end, Nausicaa takes the decision out of God’s hand and leaves it to nature to design mankind’s fate. 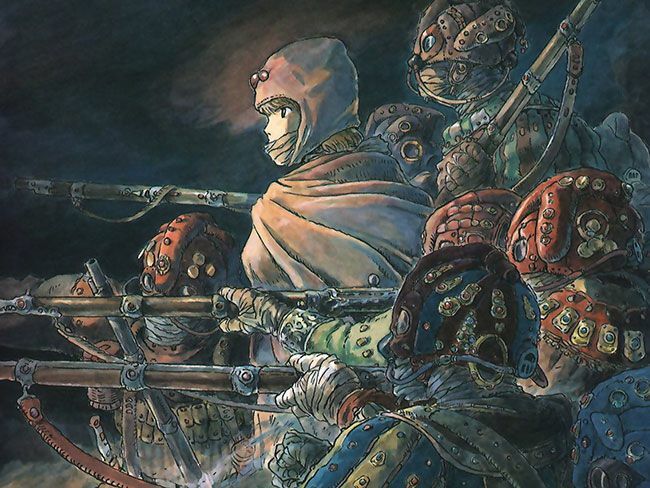 Nausicaa is a brilliant looking comic. The artistry on display is on par with any Ghibli classic. The world delivered through Miyazaki’s pencil is one that is fully realized through masterful use of texture and understanding of form. The manga is a showcase of visual storytelling, everything is clean and readable, and the reader is never confused about where the eye is supposed to go next. Though I will say that the early chapters have a tendency to put too many panels on a single page, so depending on what version your reading from it can be an eyesore. 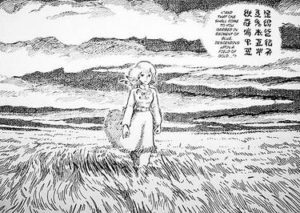 Hayao Miyazaki’s seminal work, “Nausicaa of the Valley of the wind,” is an essential work in the history of anime and manga. Crucial to the establishment of Studio Ghibli, it would grow to inspire the studio’s future work. The plot is an exciting blend of fantasy and science-fiction with art that showcases the wonder and elegance of the medium of manga. If you wish to engage in a modern classic, you could do worse with your time.